The start of 2017 marks 15 years since the euro was officially adopted as the primary physical currency in 12 countries across Europe, three years after becoming an official accounting currency. 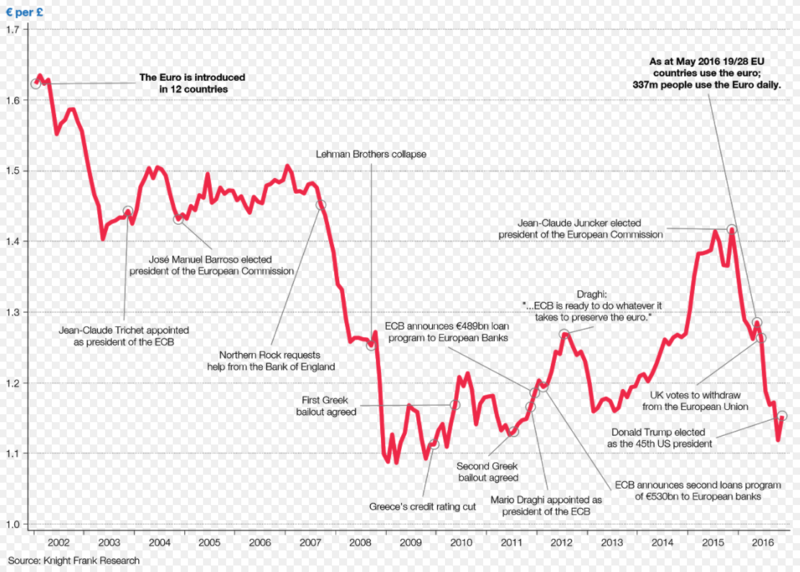 The single-currency has ridden a rollercoaster in the past decade and a half, starting its life at €1.62 against the pound, before appreciating massively against sterling during the financial crisis, crashing during the eurozone sovereign debt crisis, and then jumping against the pound after the Brexit vote. In recent years, the euro has faced stern criticism from many observers and has been dubbed a failure by those at the eurosceptic end of the political spectrum. For instance, in an interview with Business Insider last summer, Nobel Prize-winning economist Joseph Stiglitz argued that fundamental flaws with the euro and the broader European economy are causing huge problems for the continent and risk leading to its downfall. The currency has also come under severe pressure against the dollar in recent months, with several major research houses arguing that it could reach parity for the first time in its history in the first quarter of 2017. Parity between the euro and the dollar will be driven by two big catalysts: European politics, and a strengthening dollar following the interest rate hike by the US Federal Reserve in December.